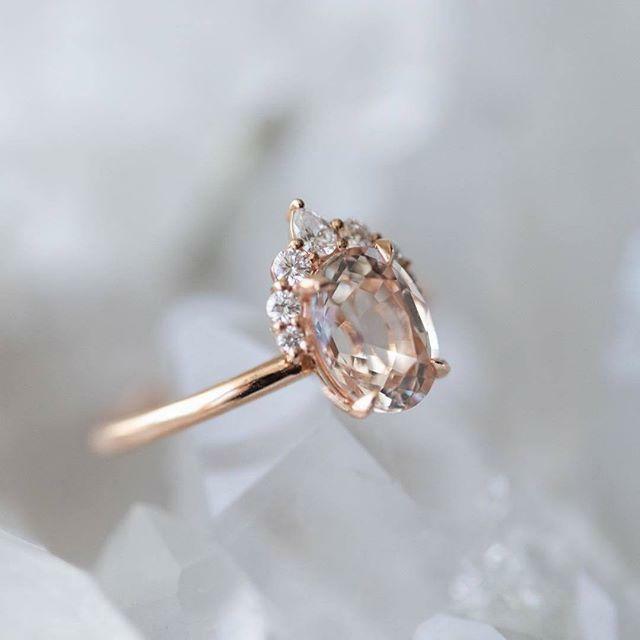 Isn't this peachy pink engagement ring STUNNING?! While diamonds are beautiful, gemstones are different...they’re striking, they’re bold, and oftentimes, they’re less expensive than their diamond counterparts! This #ring is a peach sapphire finished with a diamond crown! Did you even know a sapphire could be peach color??!! . . Are you considering rocking a gorgeous gemstone in lieu of the traditional diamond?